It gave a professional high to Soochna Seva team from Guna, when its 5 members got selected as Swachh Bharat Mission ‘Preraks’. The selection was a tough challenge and only 45 candidates managed to get selected out of 200 strong applicants for Guna district. The selected members – Rajaram Dhakad, Purushottam Dhakad, Mukesh Yadav, Prakash Dhakad and Naval Kushwaha- are one of the best from SSK team working in Guna district. The interview and other selection formalities were held on 11th July 2016 at Janpad Panchayat, Guna. The master trainers under Community Led Total Sanitation (CLTS) programme from Bhopal formed the recruitment panel including Mr. Kailash Bankhede, CEO, CLTS. Under their expert supervision, the selected candidates received a highly personalized training Gail Institute of Skills, Guna. The training went on for 5 days from 13th July 2016 to 17th July 2016. 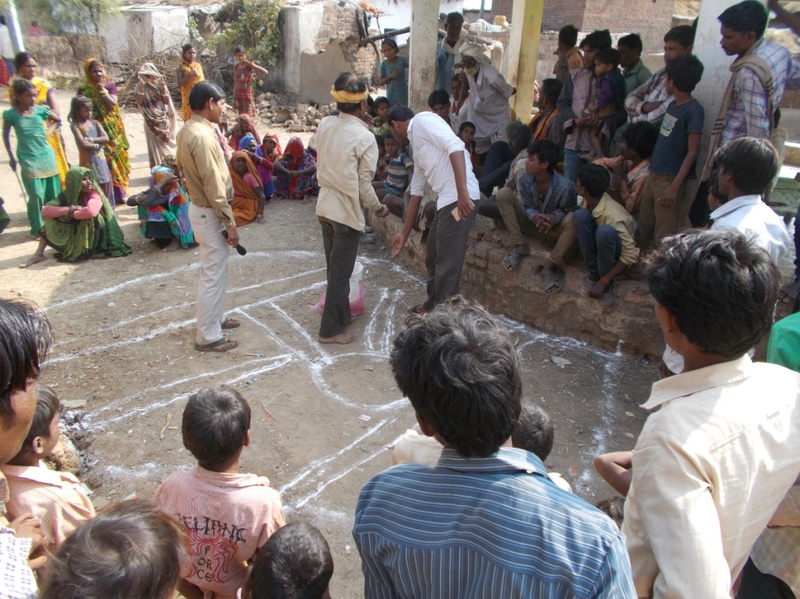 The selected candidates underwent a rigorous training for CLTS specific community mobilizing related work to completely eliminate open defecation (OD). Later, all the trained ‘Preraks’ were assigned to different Panchayats in their respective territories. The experience has helped SSK team to gain expert knowledge for organising community development and engagement activities. The opportunity to work in close association with panchayats and government officials is adding up to the support system for local SSK team in Guna. Following is the stats of toilets construction in villages by Soochna Seva team.